Facial paralysis sometimes affects children. In fact, research indicates approximately 70% of pediatric facial paralysis cases involve Bell’s palsy, a condition that causes unilateral facial weakness. Pediatric Bell’s palsy may occur due to facial trauma, salivary gland inflammation or tumors, among other reasons. Yet pediatric Bell’s palsy and other forms of facial paralysis in children are generally treatable. 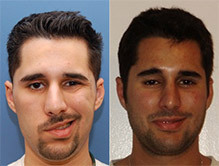 At The Facial Paralysis Institute, Dr. Babak Azizzadeh offers facial paralysis treatments for both kids and adults. 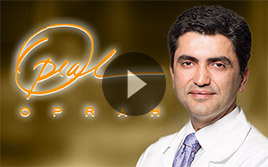 As a world-renowned facial plastic and reconstructive surgeon, Dr. Azizzadeh understands that no two facial paralysis patients are exactly alike, regardless of age. Thus, Dr. Azizzadeh develops a personalized facial paralysis treatment for each patient to ensure that he or she can achieve long-lasting results. There are more than 100 known causes of facial paralysis in kids. Regardless of why a child experiences facial paralysis, a parent’s role is to provide comfort and reassurance to him or her at all times. For parents, tell a child that he or she is loved no matter what happens – and do so frequently. This allows a parent to lay the foundation for a loving relationship with his or her child. It also increases the likelihood that a child may start to feel comfortable going to a parent to discuss a variety of topics – even his or her facial paralysis symptoms. Pediatric facial paralysis is a complex topic. As a parent, it is important to educate and inform a child about facial paralysis. At the same time, it is crucial not to overwhelm a child with too much information at once. Oftentimes, it helps to break up facial paralysis information into small bits. Taking a few minutes each day to explain facial paralysis and the symptoms associated with it may be beneficial for both a child and parent. In this scenario, a parent can provide a few facts and insights about facial paralysis to his or her child every day. Then, a child can digest facial paralysis information and respond with any concerns or questions. Facial paralysis jargon is unlikely to do a parent or his or her child any favors. Instead, a parent should define facial paralysis in terms that his or her child can easily understand. If a parent is uncertain about different facial paralysis terms, Dr. Azizzadeh can help. Dr. Azizzadeh is happy to define assorted facial paralysis terms. 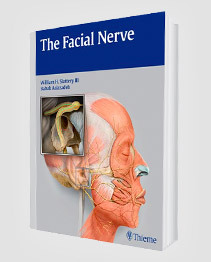 That way, a parent can use these insights to provide a clear, concise facial paralysis explanation to his or her child. Ultimately, a parent knows his or her child better than anyone else. Thanks to parental instincts, any mother or father can determine the best time and place to discuss facial paralysis with a child. If a parent notices a child seems anxious, for example, it may be best to avoid a conversation about facial paralysis at this time. On the other hand, if a child approaches a parent about his or her difficulties with smiling or making other facial expressions, this may prove to be an ideal time to begin a dialogue about facial paralysis. There is no timeline to provide a child with information about facial paralysis. Kids of all ages may experience facial paralysis, and much in the same vein, children may learn about facial paralysis at different points in their lives. The best time to talk to a child about facial paralysis is usually when he or she can fully understand the condition and its immediate and long-term ramifications. If a parent believes that time has not yet arrived, he or she should be patient. 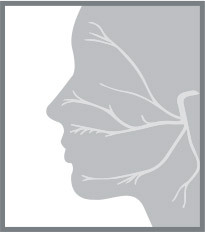 In the meantime, a parent can learn about all aspects of facial paralysis. And when the moment arrives to teach a child about facial paralysis, this parent will be ready to do just that. Most people have never met anyone else dealing with facial paralysis so they feel very alone. Sharing videos of other children with facial paralysis can be very comforting to a child. Pediatric facial paralysis is problematic. Fortunately, Dr. Azizzadeh offers pediatric facial paralysis treatments. To set up a pediatric facial paralysis consultation with Dr. Azizzadeh, please contact us today at (310) 657-2203.